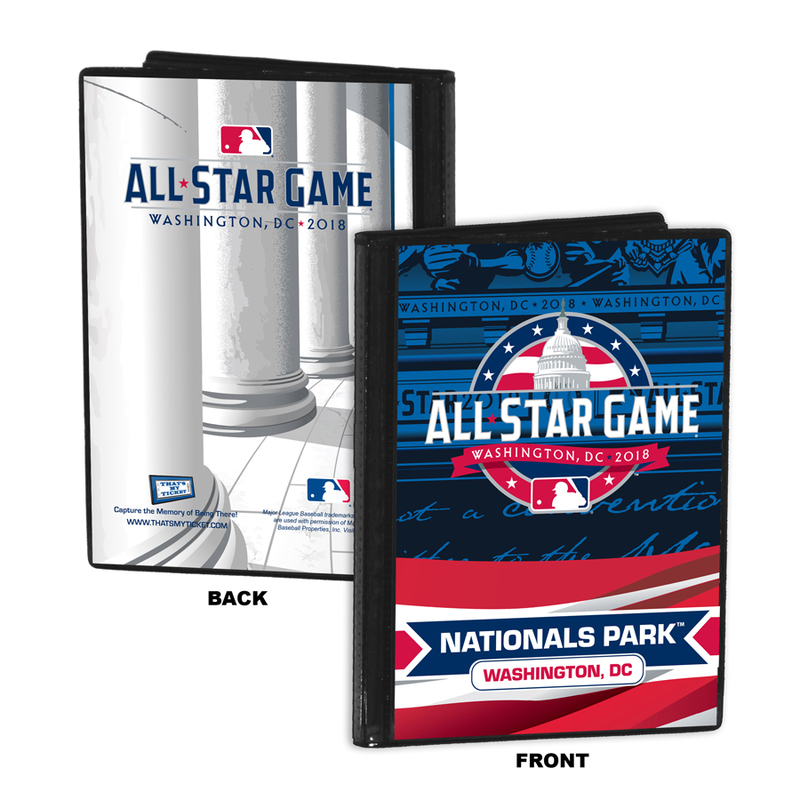 Capture the memory of the 2018 All-Star Game with a Mega Ticket Strip featuring all three event tickets surrounding the 2018 All-Star Game. 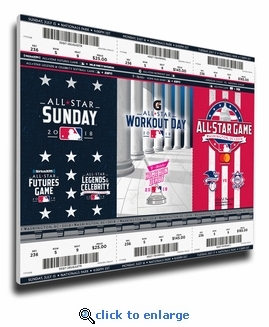 Officially licensed by MLB®, Mega Tickets® are sports history turned into unique wall art. 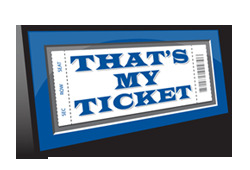 They are created from actual game tickets, printed on archival canvas and hand wrapped on wooden stretcher bars. Perfect for autographs.